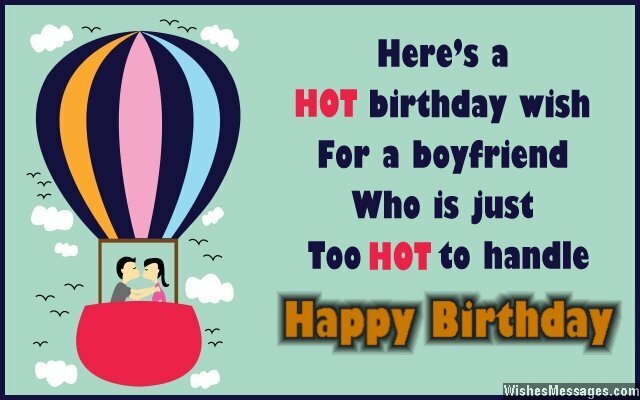 Birthday Wishes for Boyfriend: Send a romantic quote to your boyfriend and wish him happy birthday. 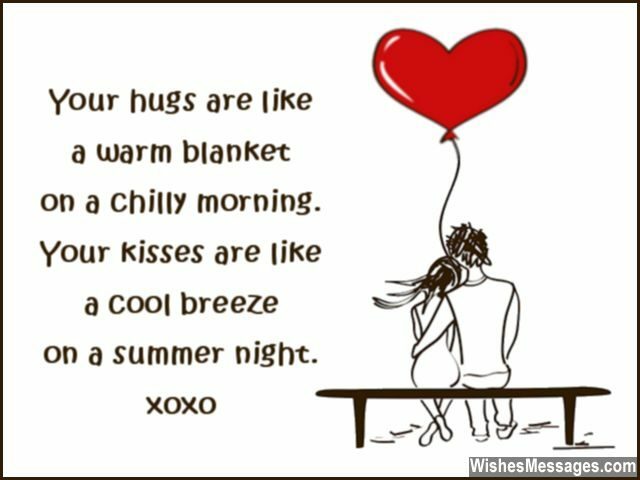 Write a sweet greeting on a card and keep poking him throughout the day with cute tweets, funny Facebook messages and texts that make him smile. Treat him like a handsome king so that he treats you like his beautiful princess all year round. His special day is also a good opportunity to say I Love You to him if you’ve been waiting for the perfect moment. 1) Being with you makes all the knots of life come undone. Happy birthday. 2) Happy birthday to the guy who’s has always been my heartthrob and heartbeat, never my heartbreak or heartache. 3) I am the luckiest girl in the world to have a boyfriend like you. Same pinch, because you are the luckiest boyfriend in the world to have a girlfriend like me. Happy birthday. 4) Happy birthday to the boyfriend that most girls can only dream of having. I love you. 5) Guys should learn from you, what being a boyfriend is really all about. Happy birthday. 7) Happy birthday to the guy whose smiles and laughter I live by. Thanks for making my life tick. 8) Being in a relationship with you is crazier than the craziest roller coaster ride. I love my life, all thanks to a wonderful boyfriend like you. Happy birthday. 10) I started dating you because I thought that you were a good looking catch. Now my thoughts have changed, and I think that we are the perfect match. Happy birthday handsome. 11) Hey You! 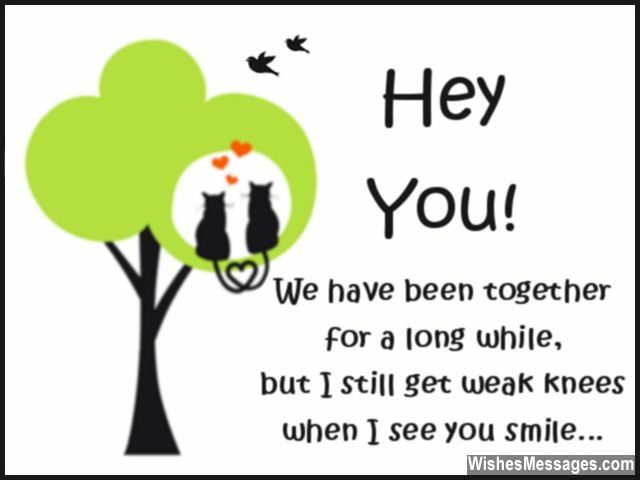 We’ve been together for a long while, but I still get weak knees when I see you smile. Happy birthday. 12) I hope I can keep you happier, than the happiest boyfriend in the world. I love you. 14) Celebrating your birthday is a reminder that being your girlfriend makes every day of life worth celebrating. Muah. 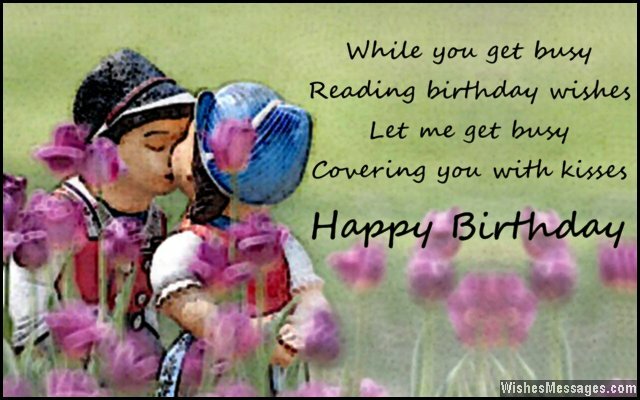 15) Here is a special birthday wish for a special boyfriend who has a special place in my heart. Happy birthday. 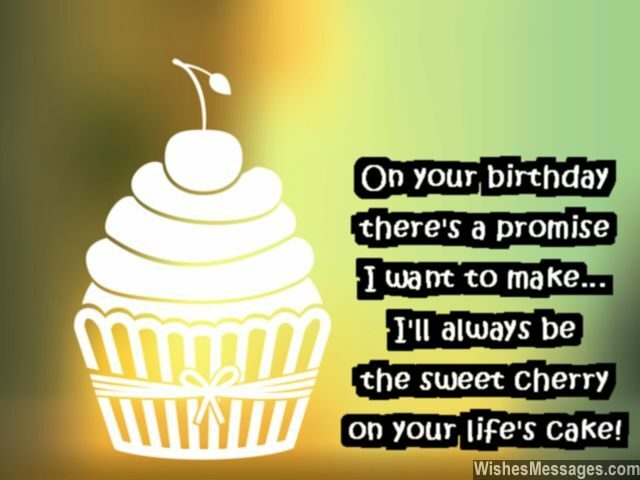 16) On your birthday there’s a promise I want to make… I’ll always be the sweet cherry on your life’s cake. Happy birthday. 17) All girlfriends would be happy like me… if all boyfriends were as awesome as you. Happy birthday. 18) Amazing boyfriends like you, these days are rare and few. Happy birthday. 19) A boyfriend who is super sweet, deserves more than a thousand birthday tweets. Have a #HappyBirthday. 20) I have always liked your handsome face and dreamy eyes from the start, but what I like about you the most is your tender heart. Happy birthday. 33) To a boyfriend like you, I will always be true. With a boyfriend like you, I will never be blue. With all my heart, I wish a Happy Birthday to you. 34) You know exactly which chords of my heart to strum to create the most romantic melody. Happy birthday to the rock star of my life. 35) I don’t know about yours, but my birthday wish has already come true – and that is dating a guy as handsome as you. Happy birthday. 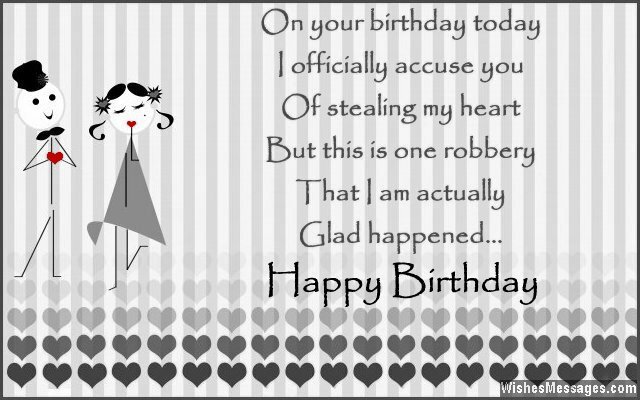 36) On your birthday today, I officially accuse you of stealing my heart. But this is one robbery that I am actually glad that it happened. Happy birthday. 37) Happy birthday to the guy whose middle name should be changed to Handsome. 38) There is nothing else I can give you when you already have most beautiful present in the world – me. Happy birthday. 39) STRONG is what my heart feels when it beats for you. WEAK is what my knees feel when you look at me. Happy birthday. 40) As you blow the candles on your cake, I want you to remember that you are the candle that lights up my life. Happy birthday.